It’s 3rd March and in one month and one day the hardback (and ebook and audio book) of Sleep will be published. My editor Helen recently asked me how I was feeling and I said, ‘surprisingly calm’. Surprisingly because I’m normally extremely nervy before a book comes out. I don’t know if it’s because a month is still a relatively long time, if I’m too busy with book seven to give it much thought, too tired from being ill and then my son being ill, or if I’ve managed to achieve some kind of elusive author zen. No, it’s definitely not the latter but it is down to a combination of the first three. I imagine my nerves will kick in right around the time I receive a box of hardbacks and it all starts to feel real. One thing that IS making me nervous is the thought of several upcoming flights. I used to be absolutely fine with flying but ever since my son was born I dread getting on a plane and have even been to see a therapist to get a relaxation mp3 to listen to while the plane is taxing on the runway (the book Fear of Flying helped a bit too – I have an image in my head of the air supporting the plane being as thick as jelly) . Anyway, I refuse to let my fear of flying stop me from saying yes to cool stuff and in this case it’s teaching a masterclass for Aye Write festival in Glasgow followed by a Bloody Islands panel with Anna Mazzola and Douglas Skelton (and a signing afterwards) . The MasterClass has sold out but you can still get tickets to the panel here. The other cool thing that involves flying is my first ever foreign publisher event – a crime festival in Denmark in April. Thank you Jentas. Sorry if I’m not visiting a city near you. With any luck we’ll visit a few more places in September when the paperback comes out. If we do I’ll post about it here. If you’re desperate to get your hands on a signed copy of Sleep, personalised to you, now you can! I’ve teamed up with independent bookshop Max Minerva’s Marvellous Books to offer signed, personalised copies of my books. To order order one just follow the instructions on the website then I’ll pop in to sign the book to you and Jessica will send it out. And if you’ve ordered your copy elsewhere and want it signed do not fear because I’m offering a signed bookplate (with two signed bookmarks) to the first 100 people who email CLTaylorAuthor@gmail.com with a copy of their receipt for the hardback of Sleep. Talking of independent bookshops, back in January I attended the HarperCollins Independent bookshop event and gave a talk where I showed the booksellers the first book I sent to a publisher (Ladybird books) aged eight and the rejection letter I subsequently received. It was a lovely evening and it was so nice to talk to so many people who are genuinely excited and enthusiastic about books. In February I got to meet an audience that was equally as enthusiastic – about young adult fiction. There’s been a lot reported in the media about the dire state of the YA market and how sales have drastically fallen off. There’s no denying the figures and a lot of YA authors are leaving the genre to write adult fiction (which can offer a much healthier advance) and that makes me sad, not just for the authors who love their genre and just want to make a living, but also the fans of their books. Anyway, the room was PACKED for my event with Karen McManus, Emily Barr and Katherine Webber and that makes me hopeful that the audience for YA is still out there and publishers just need to find better ways to reach them. I hope they do because this year I am putting the finishing touches to my second YA thriller and delivering it to my editor. I recently thrashed out a schedule for delivering my seventh psychological thriller to Avon and my second YA thriller to HQ and basically I’m working flat out between now and December (I have managed to claw a two week holiday in August between structural edits and line edits). Book seven is going well *touches wood* or as well as it can when I am writing and I am not exactly sure what happens at the climax of the book or what the twist is. But I’m trying not to let that worry me too much. I didn’t know what the twists were in The Fear or Sleep were either until I got very close to the end and when I reached the end of the second YA thriller I decided to ditch the ending I’d had in mind and go in a completely different direction instead (which is why I need to write a second draft before delivering it to my editor). It’s a scary way of working but exhilarating too because I get to be as surprised as the reader. For the first time I’ve documented the planning phase of this novel – how I get from the initial idea to a rough road map. Check out Part 1 and Part 2 on my YouTube channel: www.youtube.com/c/CLTaylorAuthor and do subscribe to see future updates. So that’s it from me. Do book tickets to the Waterstones events if you live locally, it would be lovely to meet you (I am also doing events in Woking and Stockton this year – check out my events page for details). And don’t forget to place an order with Max Minerva’s if you’d like a signed, personalised copy of Sleep. It’s 3rd January today but I don’t feel as though the year has started yet as my partner and son are still on holiday. Correction, I don’t feel as though my WORKING year has started yet. I’m not great at working on an ad-hoc basis, grabbing a bit of time to write here and there. I need long stretches of time, ideally alone, when I know I won’t be interrupted. That’s not to say I’m NOT working. A huge part of writing is thinking and that’s something I’m doing a lot of while I walk the dog, fold the laundry and pack up the Christmas decorations. Anyway, as tempting as it was to immediately start the second draft I knew I had to let it rest for a bit – mostly because I wanted to relax and spend time with my family over Christmas. It was hard to let it go but, as well as chilling out, I needed to give myself some headspace to let my next book come to life! The idea for my seventh psychological thriller (eleventh novel), originally came to me back in August (actually, one of the characters has been in my head for years, waiting for the right story to come along) and, whilst it wasn’t a fully formed idea, I knew enough about the story to run the basic premise past my agent and editor and it got the thumbs up. Percolating time is important for a book. Most writers find that pressure and lack of time completely stifles creativity and it’s when you’re relaxed and mentally open that the best ideas come to you. Trying to force a story together inevitably means you either get blocked and freeze completely or the passion to write it just isn’t there. When I finished writing the first draft of the YA in mid December the last thing in the world I wanted to do was start writing a new novel. Just the thought brought me out in a cold sweat but I’m starting to feel the itch to create again. The characters in book seven are starting to gabble quite loudly now and I’m desperate to get to know them and make sense of their stories and how they interlink (for those of you who loved the structure in The Fear it’s going to be another three hander). Plotting and planning is my favourite part of the novel writing process so roll on 7th Jan when I officially start my year. P.P.S. I’m not sure when the YA thriller will be published. 2020 or 2021 have both been mentioned so I’ll let you know as soon as we have a firm date. I’m so thrilled to be able to share the cover of my sixth psychological thriller with you. Isn’t it stunning? Sleep will be published in the UK in hardback and ebook on 21st March 2019 and in paperback on 5th September 2019. If you’re a regular reader of this blog you’ll know that this book was a tricky one to write. All I knew when I sat down to plot it was that I wanted it to be a book about sleep. I’m fascinated by the subject, particularly sleep issues like insomnia, sleepwalking and night terrors, and how and why we dream. I knew I wanted my main character to have insomnia and I had an image in my mind of someone who worked in a hotel, drifting through the corridors in the early hours, unable to sleep. But why couldn’t she drop off? Guilt. That was the first thing that came to mind. She feels guilty so she can’t sleep. But what does she feel guilty about? I started thinking about the guests in the hotel too. What was going on behind the closed doors of their rooms? Why had they traveled to the remote Scottish island of Rum? Were they running away from something like Anna? Or were they seeking something? What secrets were they hiding? Bit by bit the story slowly came together. And now it’s done! I sent the corrected proof pages back to my editor last week and, in the next month or so, proof copies will be going out to reviewers, bloggers and authors. I’d be lying if I said I wasn’t nervous about how this novel will be received but I’m always nervous about sending a little bit of me out into the world to be judged. It may only be five months until the book is published by the publicity process has already started and I’ve got until November to write two short stories that will be published in magazines in March. We’re also starting to put together a book shop tour – something I’ve never done before but am very excited about. Do shout if you’d like me to come to your city. I can’t promise we’ll make it (we only have a week!) but if there’s lots of interest in certain cities it might help swing the decision! While all that’s going on I’m cracking on with the second YA thriller (publication date June 2020). I had hoped to get the first draft done by the end of November but I’m taking my time over the opening chapters and progress is slow. This is normal for me. I only really get to know my characters when I start writing and beginnings are quite tentative until the characters become firmly established in my mind. Then I start to speed up a bit! I’ve never completed NaNoWriMo before but I might do it this year so I force myself to sit in my chair and write 1,667 words a day. With any luck I might end up with a messy 60k first draft by the end of it. Why the hurry to get as much written as possible by the end of November? Well, in December I need to start plotting my seventh psychological thriller so I can start the first draft in January. With the rom coms and the YA books it will actually be my ELEVENTH book. Next year marks the ten year anniversary of Heaven Can Wait, my first published book. I can’t believe how fast the years have flown by. I used to raise my eyebrows when established writers would worry on social media about impending publication. ‘How can you be worried?’ I’d think. ‘You’ve had loads of bestsellers. Of course you’ll have another one. You have an army of loyal fans.’ But that’s where Imposter Syndrome kicks in. So many writers (myself included) worry that our previous books were a fluke and that with this book we’ll be revealed to be the writing frauds that we feel we are. This isn’t an unusual feeling for me. Even when I was a manager at a university I’d often think, ‘seriously, they’ve given me all this responsibility? Shouldn’t they give that to someone who knows what they’re doing?’ When the truth was I’d worked in eLearning for years, I kept up to date with all the latest developments in the industry and I knew exactly what I was doing. But logic goes out of the window in the run up to publication and when fear kicks in you listen to your ‘monkey’ rather than your ‘human’ (I read a fascinating non-fiction book recently called The Chimp Paradox which talks about how your base emotions/monkey take over in stressful situations and your human/logical side is drowned out). Anyway, I don’t take anything for granted in this industry. I’ve had enough ups and downs in my career to know that a career in publishing isn’t a linear line so I am incredibly grateful that THE FEAR became a bestseller. A HUGE thank you to everyone who bought, reviewed and recommended it. One of the most exciting and nerve-wracking PR events for the launch of The Fear was a signing I did on the Bristol to Paddington train. Organised by my PR Sabah Khan and Richard Salkeld, Media and Communications Manager for Great Western Railway, I had the most unusual, and amusing, trip to London. I won’t go into all the faff about changing trains because our original train was cancelled and the wild goose chase as Sabah tried to catch up with us but it was brilliant fun. I signed far more books than I ever have at any event and I had some great chats with commuters and readers. And apologies again to the First Class commuters again for all the disruption! Another great event was the ‘Fab Night In’, organised by The Sun’s Fabulous magazine. It was held right right at the top of the News Corp building and featured me, Sarah Pinborough, BA Paris and Adele Parks being interviewed by Fabulous’s fiction editor extraordinaire Claire Frost. We all laughed A LOT. Unfortunately I missed Crime Fest in Bristol because I was struck down by a virus days before and spent the whole weekend in bed but I’m hugely looking forward to Theakston’s Old Peculier Crime Festival in Harrogate next month. I’ve been attending as a guest for years and I’m so thrilled to be on the programme this year as a table host at Lee Child’s murder mystery dinner on the Saturday night. I finished the first draft of my next book, SLEEP, in the third week of May and I’m currently writing the second draft after receiving my edits back a few weeks ago. Compared to THE FEAR this book has been slightly nightmarish to write. Not because of the subject matter (more about that in another post) but because I wasn’t entirely sure what the theme was before I started writing it. I’d plotted it, as I do all my books (since I pantsed THE LIE anyway) but some books flow as you write them and some books don’t. SLEEP was most definitely a ‘bumpy’ read after the first draft and I wasn’t entirely sure why. Thankfully the editorial feedback from my agent and editor pinpointed where the problems lay and now I’m fixing them. On a gut level this book certainly feels like a better, smoother read. Here’s hoping! So, that’s it for now. If you haven’t read THE FEAR yet it’s currently 99p for the ebook and £3.50 for the paperback (but not forever!). And if you could vote for it in the Dead Good Book Awards that would be great. Earlier this year I was invited to the Specsavers Nielsen Bestseller Awards to receive two silver awards for The Acccident and The Lie (for sales of over 250,000 copies). It was SUCH a glamorous affair. The wonderful Mariella Frostrop was the MC and so many amazing authors were honoured with awards including Paula Hawkins, Maggie O’Farrell (I had a bit of a fan girl moment when I realised I was standing behind her in the queue), Peter James, Phillipa Gregory, Dougie and Tom from McFly, Jill Mansell, Clare Mackintosh and so many more. It really was a ‘pinch me’ moment and one of the most magical nights of my career. And here’s a video of me being interviewed after I received my awards (terrible freeze-frame!). Not long now until THE FEAR is published (22nd March). I have been so chuffed with the reaction from authors and readers who’ve received advance proofs and am excited and nervous about the book coming out. 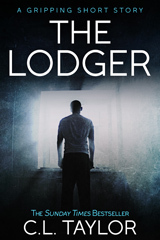 I’ve just started writing my sixth psychological thriller and life is becoming increasingly hectic as I try and balance writing the first draft with posts for the blog tour, articles for magazines and websites, and answering Q&As. I need more hours in the day.